Some financial advisors try to impress their clients and prospective clients by providing forecasts for the future returns on stocks and bonds. 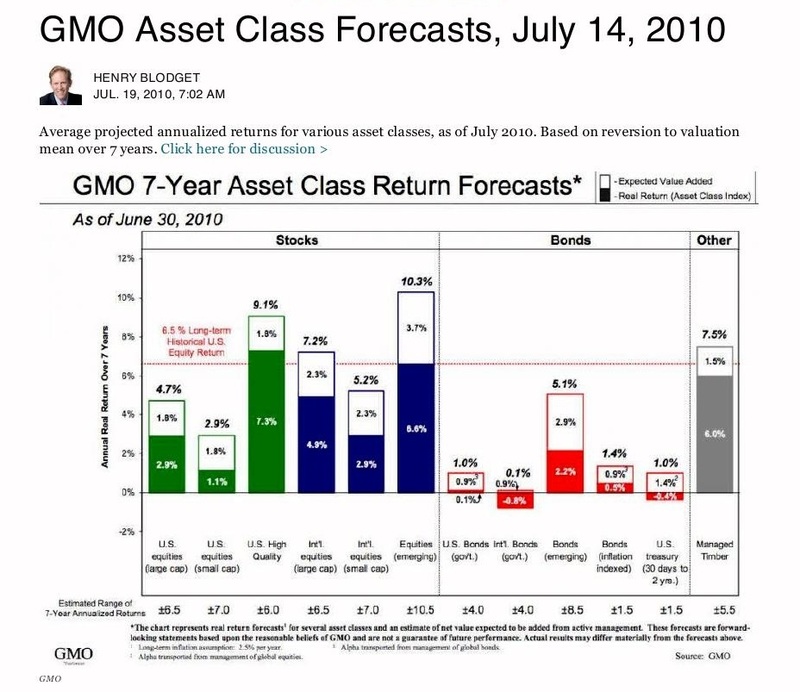 Below is an example published almost seven years ago from money manager GMO, a firm that that was previously heralded for their forecasting accuracy. GMO predicted that emerging markets stocks would have the highest real returns (+6.6% per year) of all stock asset classes (ignoring "quality"). They were the lowest, only returning +2.1% per year after inflation. They predicted that US large cap stocks would significantly underperform their historical average, returning only +2.9% per year net of inflation. They did +13.8% per year (double their long-term average). US small cap stocks were supposed to perform the worst, returning just +1.1% per year. They did the best, returning +14.2% per year net of inflation. International small stocks were supposed to underperform international large stocks by 2% a year; they outperformed by 3% per year. Long-term historical returns turn out to be a better predictor of future results than trying to make outsized guesses about how actual returns will differ. Of course, after a multi-year bull market, it's reasonable to expect slightly lower returns. In the midst of a bear market, slightly higher returns are possible. 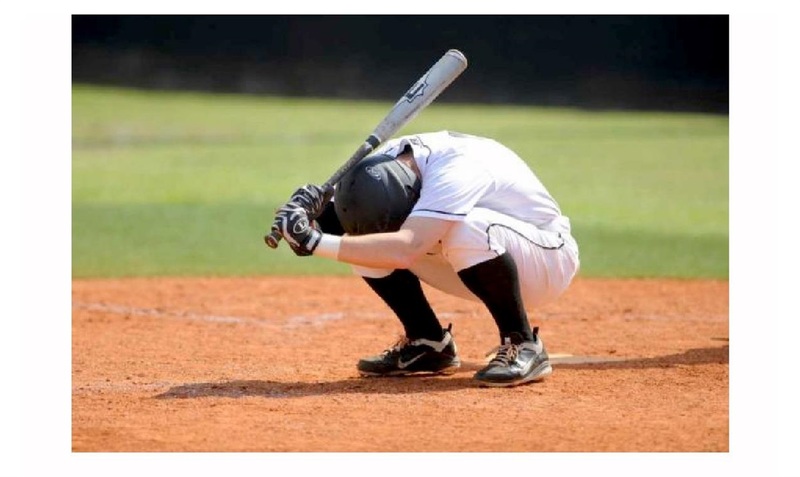 How about this recent seven-year period? In 2010, we had emerged from the significant downturn in 2008/2009 and were one year into an impressive recovery. So average returns were as good a bet as any. Looking at the Dimensional 60/40 Balanced Strategy Index (a globally diversified, 60% stock and 40% bond index) from July 2010 to March 2017, we find it returned +6.74% annually net of inflation. Its historical return from 1973 to June 2010? +6.76% annually net of inflation. The 60/40 index returned just 0.02% per year less than it's long-term average. Remember this example the next time an advisor or market pundit tries to impress you with their forecasts for the future, especially if they deviate significantly from long-term averages.